Sunday January 11th, 4:00 p.m. – 7:00 p.m. Featuring Yambasha from Telma-Yelin High-school Award winning Teen Jazz Musicians and afterwards our own Guri Stark will provide one of his fascinating art lectures about two Israeli Artists Nachum Gutman and Reuven Rubin and the early days of Tel Aviv. ADDED: 5:00-6:30 p.m. Israeli & American TEEN MIXER with PIZZA! 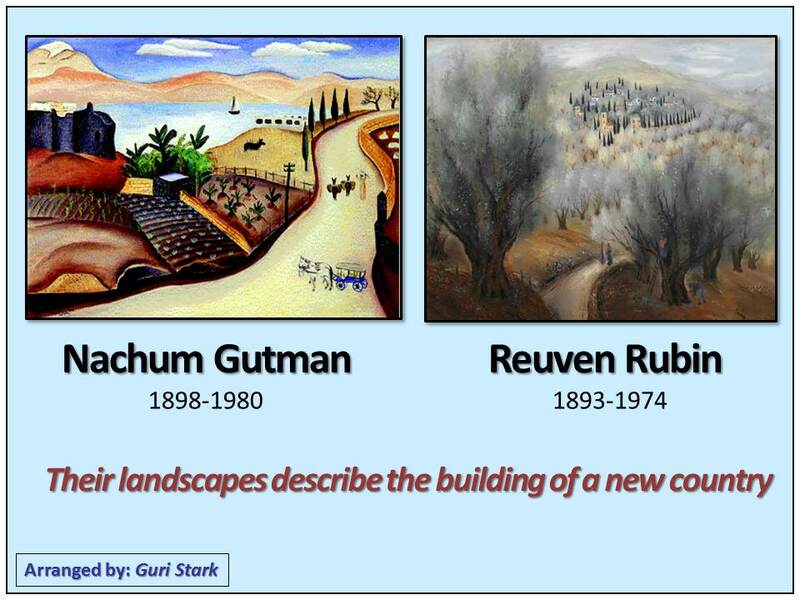 Known for his many art and music lectures, Guri Stark will present images and stories about 2 Israeli artists that were the pioneers of a distinctive Israeli art style developed prior to the founding of Israel. Nachum Gutman and Reuven Rubin’s unique style was influenced by their personal experience of building a new life in Israel. They portrayed Israel’s landscapes (Tel-Aviv, Jerusalem, Zefat, Galilee) and inhabitants (Yemenite & Hassidic, Jews & Arabs) in a sensitive fashion. The evening will review their paintings, mosaics, tapestries and books, their motivations, how they influenced the events around them and in turn how they influenced the art world in Israel. Along the way, we will celebrate and share stories about Tel Aviv, the first Israeli city, discuss it’s founding and reminisce about the early days of Eretz Israel. 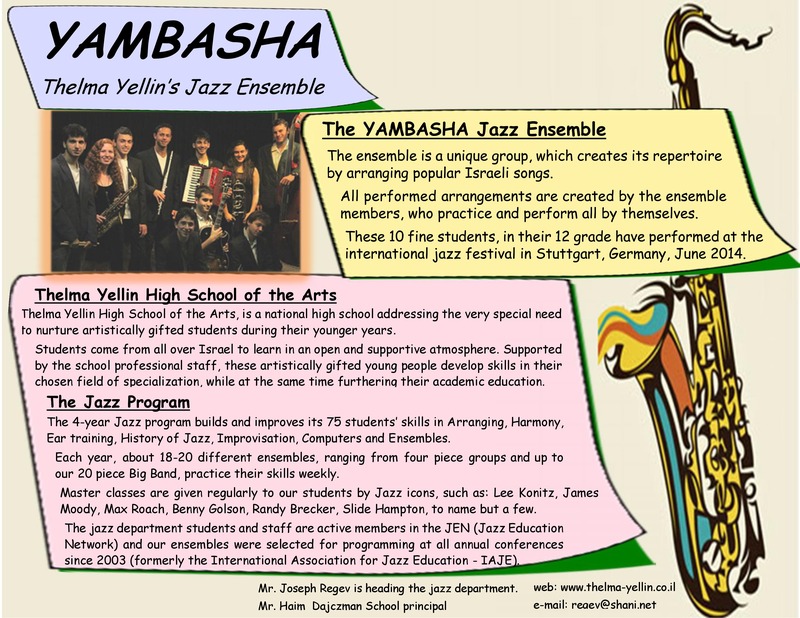 YAMBASHA Teen Jazz musicians, 12th grade (17-18 years old) from Telma-Yelin high-school in Israel will perform original Jazz selections written by members of the group. YAMBASHA was accepted to participate in the prestigious annual conference of the ‘JEN’ (Jazz Education Network) taking place in San Diego. Thelma Yellin High School of the Arts, is a national high school that nurtures artistically gifted students during their younger years. The 4-year Jazz program builds and improves its 75 students’ skills in Arranging, Harmony, Ear training, History of Jazz, Improvisation, Computers and Ensembles.